Two thousand four confirms its status as one of the all-time great vintages for Barolo. The long, moderate growing season and late harvest produced a set of beautifully perfumed, layered Barolos that are built on class and finesse. There are, of course some disappointments. Not all growers handled the high yields well. Some wines show signs of dilution while others have been virtually killed by excessive use of French oak. On that note, time continues to prove that intense concentration and high levels of new oak are not conducive to making ageworthy Barolo. Quite frankly, that may not be every producer’s objective, and that is fine. But is increasingly clear that French oak in Barolo must be of the very highest quality (which has not always been the case) and needs to be used with the utmost of care. When it is not, wines end up with very narrow windows of maturity, as is the case with some of these 2004s. The concept that aging Barolo in French oak results in wines that drink well early is a myth. In fact, these wines are often massively tannic when young and then age quickly, something history and repeated tastings of older vintages continue to prove beyond any reasonable doubt. As always, there are a few exceptions that prove the rule, but they are, in fact, exceptions. It is hardly a surprise that larger botti (casks) have returned to many cellars. A discussion of modern and traditional schools in Barolo is much more complex and wide-ranging than the scope of this article, and it involves many factors, not the least of which is the quality of vineyards, an area where Piedmont’s historic, established families hold a significant advantage over the newer wave of producers who began estate bottling in the 1980s and 1990s. Suffice it to say that gorgeous wines come from both modern and traditional schools, as do wines that ultimately fail to deliver the goods. Still, there is no denying that most of the wines in this report that did not show as well as they did young belong to the modern camp. All things considered, though, the 2004s have aged spectacularly well. At the ten-year mark, I am looking closely at how wines are developing, specifically if the elements in a wine are aging at the same pace, which I consider absolutely essential. In other words, are the aromatics, fruit and overall structural profile in-line, or not? 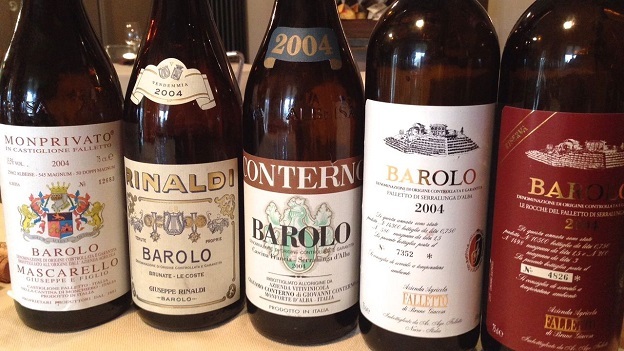 This is the eighth comprehensive Barolo retrospective I have done. Of the four vintages I have covered at the ten year mark, 2004 clearly surpasses 2000, 2001 and 2003 in both overall quality and consistency. That applies to 1999 as well, although I tasted those wines at ages seven and fourteen. The pure thrill in revisiting these wines is only equaled by the same level of excitement I felt when tasting through the 1989s and 1990s a few years back. In present day terms, 2004 is similar to 2008 in style, as the wines are perfumed and graceful, and also (with a few exceptions) much less imposing in tannin than either 2006 or 2010, the two powerhouse vintages of the decade. I expect the 2004s will age beautifully for years to come. 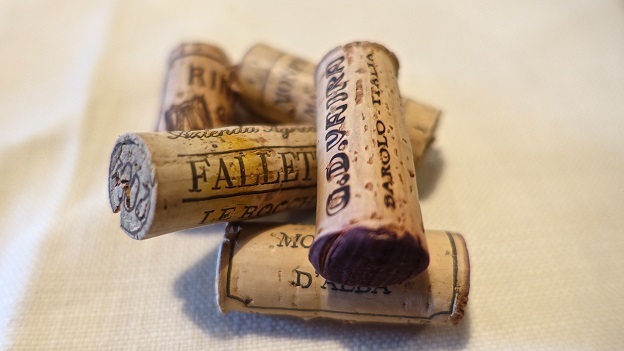 In general, the wines will open up at a younger age than the 2006s and 2010s and are likely to fade a bit earlier too, although that is of course in relative terms, as Barolo is a long-term ager compared to most of the world’s red wines. One of the questions I am most frequently asked is what makes a truly great, historic vintage. To me, a large part of it is the ‘goose bump' factor, something the 2004s had in spades, even when they were in barrel. I traveled to Piedmont in late November 2007 to taste the 2004 Barolos from bottle for my article A First Look at the 2004 Barolos. The light Thanksgiving week schedule provided an ideal opportunity to take a few days out of the office from my job at Deutsche Bank and burn very little vacation time. The wines were stunning across the board. I loved the aromatics, the finesse and the length in the 2004s from the very beginning. I was on my way back to my hotel when I pulled off the road somewhere between Castiglione Falletto and Monforte d’Alba. It was around 7 in the evening, very cold and pitch dark, with clear stars in the sky. I had just wrapped up the day’s tastings. I picked up the phone and called Robert Parker. At the time, I did not know Bob as well as I would get to know him later. Calling out of the blue, without a prior appointment, was highly unusual. Barolo reviews typically appeared in The Wine Advocate in the spring, but I knew the 2004s were truly great and I wanted to get my article into the next paper edition, which was December. I asked Bob to save me a dozen or so pages in the hard copy, which he did. The turnaround was very, very tight, and yet when I got home, that article basically wrote itself. The wines were simply inspiring. Fast forward to today. I have to admit, I approached my tastings of the 2004s with considerable trepidation. It is often assumed that critics give high scores because it is simply easier than the inverse and also much more favorable for generating attention. I could not disagree more. I know that when I see a wine that I have rated favorably in the past I get a little anxious. The higher the score, the higher the level of anticipation. Will the wines be as good as I remembered them? That is all I could think of as I travelled from property to property and opened numerous wines from my own cellar. Well, the results are obvious. With a few exceptions, the 2004 have turned out to be every bit as brilliant as I had hoped. On a personal level, 2004 was also significant in many ways. For starters, it is the year I got married. I didn’t get to choose too much that day, but we did serve our guests the 1996 Massolino Barolo Riserva Vigna Rionda, which was still quite fresh, vibrant and open for a young 1996 Barolo. A few months later, I launched Piedmont Report, the first journal dedicated exclusively to the wines of the region, while a graduate student supposedly studying business, but spending more time with Barolo and Barbaresco than with textbooks. I could have never imagined how much Piedmont Report would change my life, and, I suspect the lives of many other people as well. By early 2005 Piedmont Report had readers in 25 countries. A short time later, it was clear my future was in wine, and I gradually transitioned from finance to writing in the years that followed, all based on the initial success of Piedmont Report. 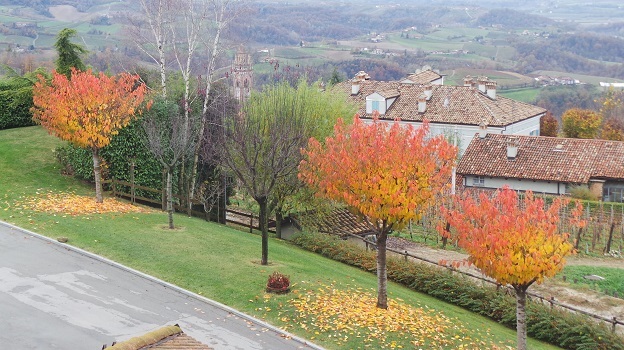 I spent a week in Piedmont in the fall of 2004 just after the harvest. The perfume that emanated from the cellars was simply intoxicating. That was my introduction to the vintage. Piedmont was a very different place back then. The Italian press was in love with the modernist producers. There is of course nothing wrong with that, as the best wines in that school were (and remain) quite thrilling. But as that was happening, the more traditional producers were completely neglected in both their own country and abroad. I grew up reading the books of Burton Anderson and Sheldon and Pauline Wasserman, among others. Watching the balance of taste and influence tilt so heavily to one side was concerning and also deeply influential in forming my own views about what wine criticism should aspire to be. 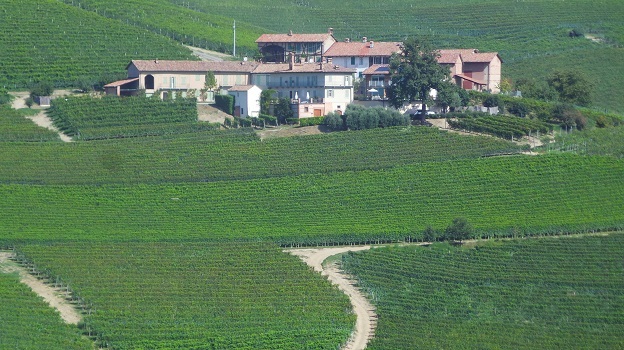 From the outset, Piedmont Report offered readers thoughts on the complete stylistic breadth of Barolo and Barbaresco. I believe a wine critic’s role is to give consumers the information and tools to develop their own palates, rather than impose my own personal taste. This remains a fundamental concept of the work we are doing today at Vinous. The idea that a wine would sell out within a calendar year was very recent and only applied to a handful of estates. It was much more common for wineries to list a handful of vintages of their top wines for several years, until the wines eventually sold through. 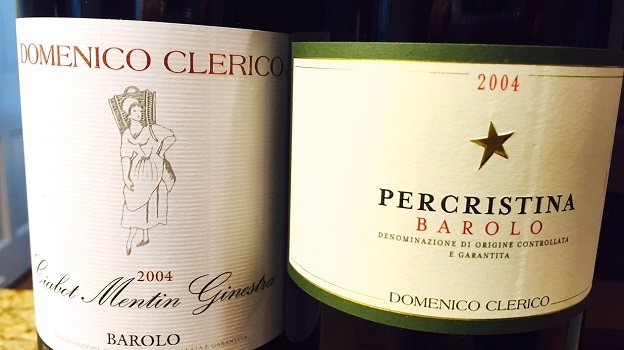 Piedmont was still coming out of the 1990s, when the Nebbiolo-based blends were all the rage. I remember Guido Fantino telling me his Monprà was highly allocated, while he had much more difficulty selling his Barolos. Visitors could buy pretty much any wine they wanted, even at top properties. A few wineries were not set up to deal with the general public, but they all had wine to sell, and plenty of it. More recently, traditionally-minded producers have experienced a massive rebound of popularity and interest. It wasn’t always that way. Just ten to fifteen years ago only Bruno Giacosa enjoyed considerable exposure in the US, and most of that was because of the national distribution of Winebow and founder Leonardo LoCascio’s strong relationships with the press and trade. Readers in the US will remember the Chicago importer VinDivino liquidating massive stocks of Giacomo Conterno Barolo at eye-popping prices in 2004, including a huge inventory of the 1998 Cascina Francia that could be bought by the case at $40 a bottle, something that is unthinkable today, no matter the level of distress experienced by a trade operator. Although it is great to see these wines and their producers recognized by global markets, I do admit to some nostalgia when it come to how things used to be. Over the last year, Vinous has worked closely with the Google Maps team to create the first Interactive Barolo Map. Readers can choose between two views; terrain (default) and satellite. From there, each vineyard in classified according to the Vinous Vineyard Classification that groups sites into four categories. Click on a specific vineyard to read about the characteristics, view photos, watch video and learn more about reference-point wines. Each vineyard links directly to all wines produced from that piece of land that I have tasted and that are in the Vinous database. For more on our work with Google Maps, readers might enjoy this short article I wrote for the Google Enterprise site.